Move4Less provides full-service eviction services to Las Vegas area property owners. Over the last several years, we have worked with more than 100 properties consisting of over 30,000 units. Local property managers trust our expertise at handling the eviction process for any size apartment, condo, or single family home. From initial Five Day Pay or Quit Notice, we handle your tenant or foreclosure eviction process from start to finish. Using our specialized third party provider, we prepare and hand deliver your notices and complete the required filings, based on what is required under the law so that you are in compliance every step of the process. When the notice periods expire, we complete the eviction paperwork, including a full inventory of any property at the site. Our eviction services also include packing and transporting abandoned property items to storage where they are held for the required 30 day period. If the property is not reclaimed, we take care of disposal or auction of the items. For items not removed to storage, we will work with the landlord and move the items out of the property, helping make sure the legal process is correctly followed. Our services are carried out in a professional and respectful way that gets the job done and keeps you in compliance with the required legal process. Our job is to take care of all the details from beginning to end, so you don’t have to. We’ll work with you or your staff every step of the way to make sure you are kept informed and your needs are met. 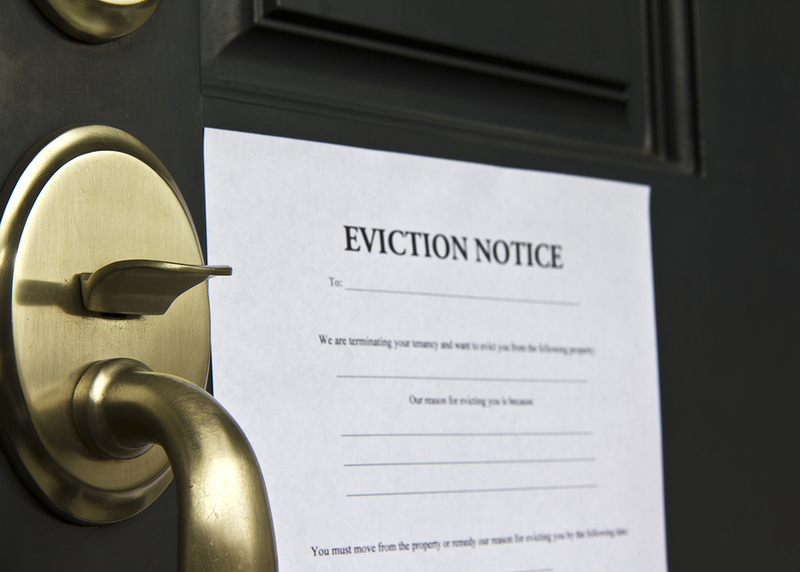 We can customize our eviction services and pricing to accommodate any size or budget. We work with property management companies, real estate firms, attorneys and with individual landlords and homeowners who need help with evicting tenants from their properties. We serve the communities of Southern Nevada including Clark County, Las Vegas, North Las Vegas, Henderson, Boulder City, Blue Diamond and Mesquite. For fast, effective and complete eviction services, trust Move4Less of Las Vegas to get the job done for you.